Play now the official park building game of the new “Wonder Park” animated film from Paramount Pictures, from the big screen to your phone. 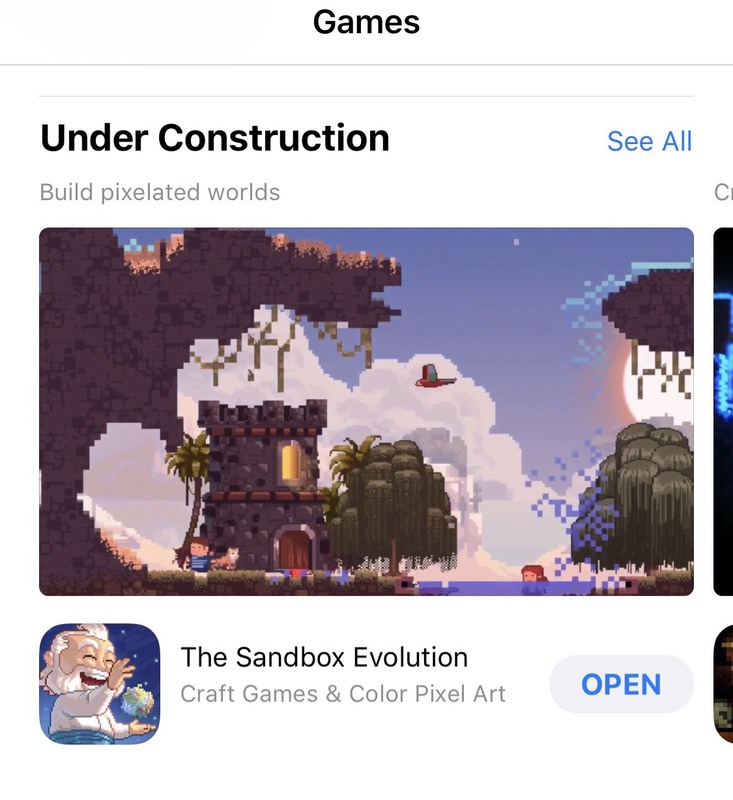 SAN FRANCISCO, March 14, 2019 – Pixowl, a leading creator of “make your own world” experiences, today announced it has launched Wonder Park Magic Rides, a new amusement park building adventure game, on the App Store and Google Play. As the official park building game of the new “Wonder Park” animated film from Paramount Pictures opening tomorrow, Wonder Park Magic Rides, allows players to create the amusement park of their dreams with June, Boomer, and the rest of the Wonder Park gang. As seen in today’s launch trailer, players will build and customize their theme park, create fully animated rides, interact with June and other film characters, and entertain visitors to put the wonder in their Wonder Park. In Wonder Park Magic Rides,, players can become the creator of the most wonderful park on the planet with awesome roller coasters, stunning attractions, and colorful decorations. Starting with an abandoned park, players create their own amusement park experience including everything from wonderiffic rides to sweet and savory treats for visitors. It’s more than building a park—it’s also about decorating and customizing your park and keeping visitors happy and excited! Favorite characters from the “Wonder Park” movie such as June, Boomer, and Greta are on hand to help players via narrative quests that unfold the story of the park. In addition to the creative fun of building your amusement park, Wonder Park Magic Rides, offers a sophisticated park management simulation. Players will not only craft rides and similar attractions, but also build concession stands and gather ingredients to craft snacks such as burgers, popcorn, and candy apples to increase visitor satisfaction. It’s up to the player to attract more visitors and keep them happy with fun rides and food and drinks—all of which creates funds to expand the park. Players can amass an assortment of cute, collectible Wonder Chimps while keeping an eye out to make sure that destructive Chimpanzombies don’t mess up their hard work! It’s not easy to run a Wonder Park, after all! Build Your Own Wonder Park: Build and customize the park of your dreams, just as in the movie! Create Awesome Rides: Build fully animated roller coasters, spinning rides, ferris wheels, and flying chair rides—then watch them go! Collect Wonder Chimps: Collect all your favorite Wonder Chimps—but watch out for Chimpanzombies trying to destroy your park attractions! Entertain Park Visitors: Visitors will send you on hundreds of fun quests—fulfill their wishes to gain experience and unlock even more content! Get ready to bring your Wonder Park to life! Wonder Park Magic Rides, is now available for iOS and Android as a free download, with optional in-game purchases. To keep in touch with Pixowl and Wonder Park Magic Rides,, please visit www.pixowl.com and follow us on Facebook. Founded in 2011 and headquartered in San Francisco, with development studios in Buenos Aires, Argentina, Pixowl, Inc. is a mobile-game development company that creates and combines player-centric worldbuilding experiences and character-driven narratives. Pixowl’s experienced international team of dynamic innovators, developers, and artists give mobile and PC gamers the ability to build worlds featuring both original and IP-based content such as The Sandbox, Peanuts: Snoopy’s Town Tale, Garfield: Survival of the Fattest, and Goosebumps HorrorTown among others. Pixowl was acquired in 2018 by Animoca Brands and is in the process of launching the blockchain version of its hit franchise, The Sandbox, which is one of the most anticipated blockchain games. For more information about Pixowl, please visit www.pixowl.com or friend and follow them on Facebook and Twitter. Goosebumps HorrorTown is now available worldwide! Build a town and fill it with the scariest of monsters from the hit horror series. Build & manage the town of terror! Create a complete collection of Goosebumps monsters! Craft and sell new items! Scare humans to collect special materials! Build and Populate a Town with Monsters and Kids—What Could Go Wrong? SAN FRANCISCO, May 30, 2018 – Get ready to scare or be scared! Pixowl, creator of the award-winning world builder game, The Sandbox, which has been downloaded over 40 million times, today announced it has launched Goosebumps™ HorrorTown, a character-driven simulation game where players collect scary monsters while building a quirky town, on the, on the App Store and Google Play. The company also released the game’s launch trailer today to give fans a glimpse into the compelling gameplay. The game, which is based on R.L. Stine’s hit “Goosebumps” horror series and licensed by Scholastic, takes players to HorrorTown to build and manage a seemingly quiet town where all is not as it seems. Players will interact with both the human and monster sides as they collect iconic monsters, scare townsfolk and unlock compelling human characters. They will also complete missions where kids spy on the monsters to discover what’s going on in their town. 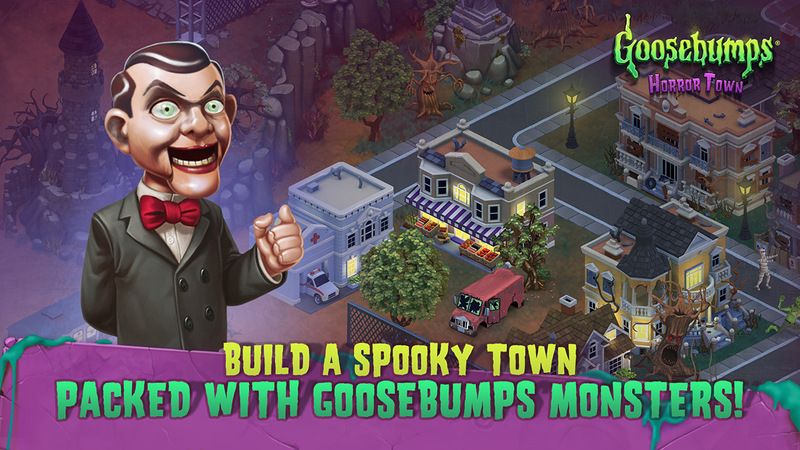 In Goosebumps HorrorTown, players will build a town and fill it signature scary monsters that Pixowl carefully selected from hundreds in the Goosebumps universe, including Slappy the ventriloquist dummy, Curly the skeleton, the Mummy, Murder the Clown, the Phantom and even the Lawn Gnomes! Players take on dual roles: gathering a gang of sinister creatures to terrify townsfolk and playing as youngsters who investigate monster activity. As monsters, players can scare humans to obtain special materials and add new creatures, while as humans they can explore the map to unlock new areas and adventures, gather resources, craft items and spy on the monsters. As with other Pixowl world building games, Goosebumps HorrorTown will continue to be expanded and supported with fresh adventures and exciting new content after launch. Players are invited to come experience a scary good time! To keep in touch with Pixowl and Goosebumps HorrorTown, please visit www.pixowl.com and follow us on Facebook, Instagram and Twitter. Founded in 2011 and headquartered in San Francisco, CA, with development studios in Buenos Aires, Argentina, Pixowl, Inc. is a mobile game development company. Pixowl’s experienced international team of dynamic innovators strives to meet and exceed the desires of mobile game players worldwide by blending exciting gameplay, comic book art and character-driven storylines. With the success of its iOS games including The Sandbox, Peanuts: Snoopy’s Town Tale & Garfield: Survival of the Fattest, Pixowl has already established itself as a leader in casual mobile games and IP-based games. For more information about Pixowl, please visit www.pixowl.com or friend and follow them on Facebook and Twitter. Scholastic Corporation (NASDAQ: SCHL) is the world’s largest publisher and distributor of children’s books, a leading provider of core literacy curriculum and professional services, and a producer of educational and entertaining children’s media. The Company creates quality books and ebooks, print and technology-based learning programs for pre-K to grade 12, classroom magazines and other products and services that support children’s learning both in school and at home. With operations in 14 international offices and exports to 165 countries, Scholastic makes quality, affordable books available to all children around the world through school-based book clubs and book fairs, classroom collections, school and public libraries, retail and online. True to its mission of 97 years to encourage the personal and intellectual growth of all children beginning with literacy, the Company has earned a reputation as a trusted partner to educators and families. Learn more at www.scholastic.com. R.L. Stine’s Goosebumps monsters have come to haunt your phone! Build a town and fill it with the scariest of monsters from the hit horror series. Gather a scary assortment of sinister creatures and terrify townsfolk, or play as humans to defend against the monsters!